A casting director for The Hobbit independently decided that the women of Middle Earth are all Caucasian. The individual has since been fired. Peter Jackson's Hobbit has been plagued with woes ranging from ballooning budgets and distribution disputes to directors quitting and unions getting mad. The film finally appears to be under way, though, and is casting for extra hobbits. Until recently, the casting calls specified that female hobbits must be light-skinned. The crew member who sent out those calls did it without any instruction, and has since been sacked. Agence France-Presse reports "video footage showed the casting agent telling people at the audition: 'We are looking for light-skinned people. I'm not trying to be -- whatever. It's just the brief. 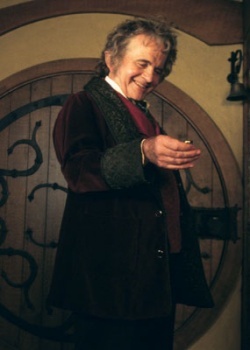 You've got to look like a hobbit.' The agent also placed a classified advertisement in the Bay of Plenty Times listing essential requirements for potential hobbits, including age, 16-80, and height -- below 170 cm (5 foot 7 inches) for men and 158cm (5ft 2in) for women. The additional demand for light skin tones applied only to women.' Naz Humphreys, a woman of Pakistani heritage, waited three hours in line, only to be told that she would not be considered for casting. Humphreys was understandably outraged, saying "It's 2010 and I still can't believe I'm being discriminated against because I have brown skin." A spokesperson for Wingnut Films, Peter Jackson's production company, informed AFP that the casting agent had been fired, emphasizing "no such instructions were given, the crew member in question took it upon themselves to do that and it's not something we instructed or condoned."